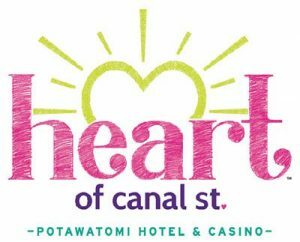 When you play the Canal Street Bingo game at Potawatomi Hotel & Casion now through Dec. 14, you’re helping raise funds for area children’s charities, giving them the gift of a promising future. Half of each $3 or $7 Canal Street Bingo game purchased goes to the Heart of Canal Street fund, which totaled more than $1.1 million last year! SUNSET PLAYHOUSE is excited to be in the running to be a benefiting charity. Visit paysbig.com/heart to learn more.